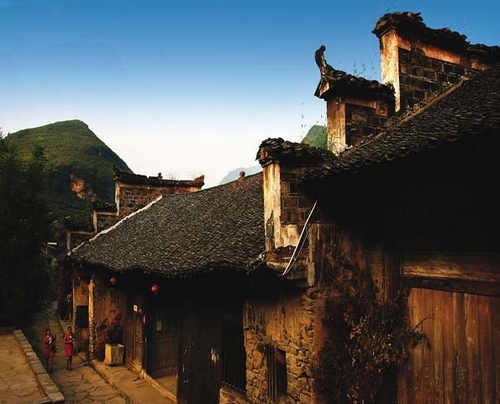 Zhangjiajie Maoyan drifting is a good place for summer tourism.Here you can feel uninhibited Tujia people, the most important thing is to have the opportunity to experience cultural trackers.Maoyan River is famous for the green mountains along the river, clear water, queer rocks, many shoals and rapids. Drifting in the river one can experience the breathtaking feeling of drifting as well as enjoy the sight of the particularly beautiful scene along the river. There are over 30 scenic spots along the river. Among which the Rock River Gorge is the best of all. Cliffs rise steeply up to 500 meters. Many water falls are seen on both sides of the river. Shuidongzi Water Fall is the most magnificent one. Water pours out from a cave 70 meters above the river and formed a huge several decameters wide before it falls scattered into the river. 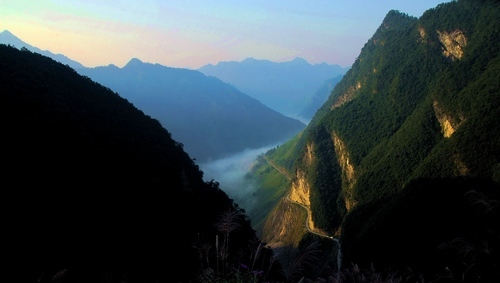 It is no wonder that visitors enjoy lingering about such terrific mountains and rivers. 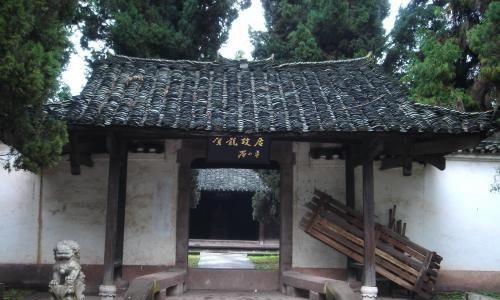 Jiutian Cave—the first cave in Asia: its name is obtained for its nine skylights connected with the ground. 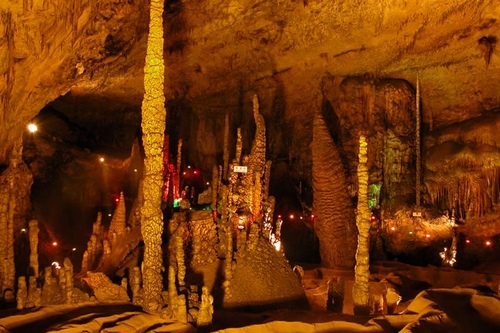 The cave is divided into upper, middle and lower layers with a total area of 2.5 million square meters, in which there are layers of stalagmites, stelae and stalactites in beautiful shapes and peculiar structures everywhere. It is an uncommon underground gem. 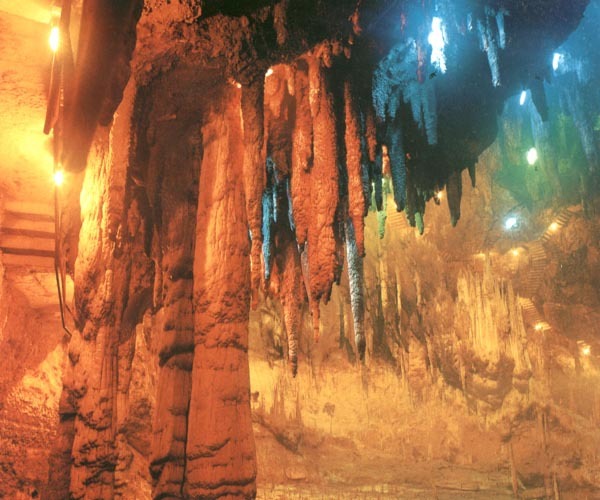 In 1987, it was identified as “the first cave in Asia” after three on-site investigations of over twenty experts in solution caves from seventeen countries. 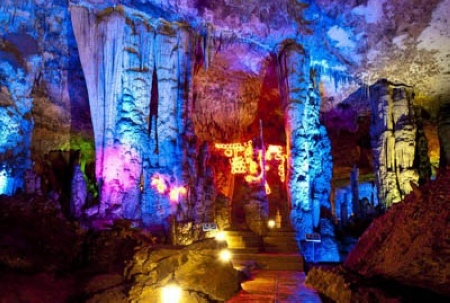 In 1995, it was designed as an “Exploration Base of International Limestone Cave Association” and received as its member. Maoyan River is a 50-kilometer river lying in the upstream area of Li River in Yongding District of Zhangjiajie City. 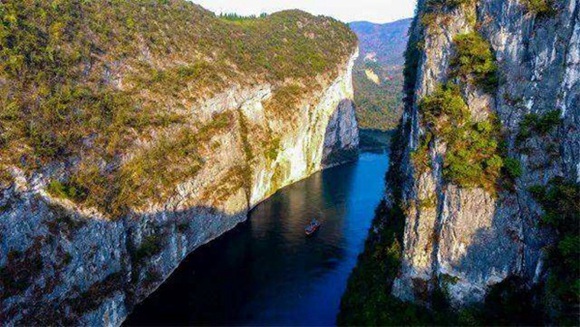 It is also called Rock River because of rocky cliffs on both sides of the river.Maoyan River is famous for the green mountains along the river, clear water, queer rocks, many shoals and rapids. Drifting in the river one can experience the breathtaking feeling of drifting as well as enjoy the sight of the particularly beautiful scene along the river. There are over 30 scenic spots along the river. Among which the Rock River Gorge is the best of all. Cliffs rise steeply up to 500 meters. Many water falls are seen on both sides of the river. Shuidongzi Water Fall is the most magnificent one. Water pours out from a cave 70 meters above the river and formed a huge several decameters wide before it falls scattered into the river. 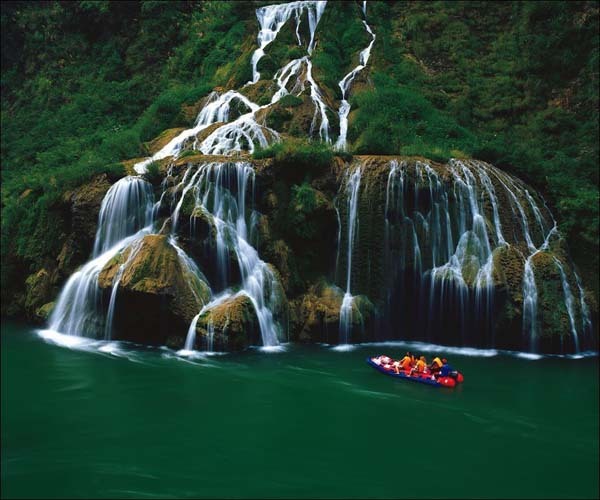 It is no wonder that visitors enjoy lingering about such terrific mountains and rivers.